Traci and I love cruising. For us, a cruise ship is like a floating hotel with plenty of entertainment and all-inclusive meals. Most of all, we love waking up in a different country each day. Over the years, we have learned that we prefer the theme/special interest cruises because we can always count on the entertainment to be geared towards our interests. 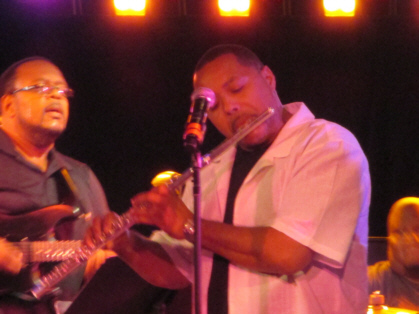 This time we did the Capital Jazz SuperCruise - The Jazz Cruise with Soul. Capital Jazz is the same organization that has been hosting the annual Capital Jazz Fest in Columbia, Maryland for more than 20 years. 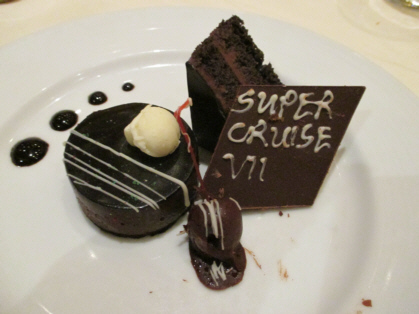 This was their seventh SuperCruise. 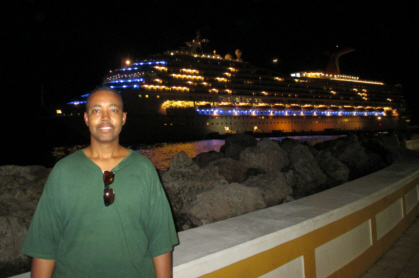 It was an 8-day Southern Caribbean cruise aboard the Carnival Freedom. The main draw is all the concerts by award-winning artists in the genres of Smooth Jazz and R&B. These shows were fantastic! 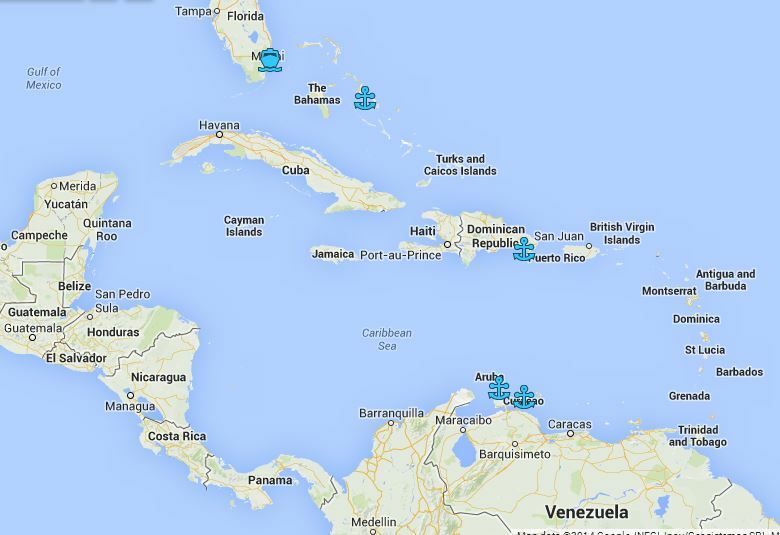 This was our first Capital Jazz SuperCruise and we plan to sail with them again. Concerts: All the concerts I saw featured artists who are masters of their craft. It was a real treat - especially for musicians. Midnight Jam Sessions: I only made it to one of these but it was great to witness all the extremely talented performers collaborate on tunes. Meeting the Artists: I not only met artists in formal settings such as Q&A sessions but I also would see them in informal settings on the ship. They were all approachable. Workshops & Seminars: Capital Jazz put together a nice variety of activities. There were dance classes, artist meet & greets, music classes taught by the pros, a genealogy session, parties, contests, and more. Take More Afternoon Naps: The Midnight Jam sessions and the midnight Underground Lounge performances are two events that make this cruise special. Unfortunately, I was normally too sleepy to stay up for them. I only caught the events once that week. Sign Up For Excursions Early: Traci and I had hoped to do the bicycle tour in Half Moon Cay and the Party Bus excursion with comedian Michael Colyar in Aruba but these excursions were sold-out when we tried to sign up for them. Pay Closer Attention to Activity Schedules: We arrived near the end of the Sugarhill Gang performance because we did not pay close enough attention to the slight adjustment to the concert schedule listed in the daily Fun Times publication. Bring Wrinkle-Free Clothing or Pack to Avoid Wrinkles: Personal travel irons are not allowed in the cabins. Therefore, we had to wait in line to use the iron provided by the ship in the laundry room. Sweater/Jacket for Each Concert: I'm not sure if I have a knack for finding a seat beneath an air condition vent or if the ship had the air condition on max. In either case, I was cold at most of the concerts. Bringing a sweater or jacket is a good idea. Sign up for the Earliest Cruise Port Shuttle: Depending on how many ships are in port, there might be a long line of vehicles waiting to unload passengers. This could cause a delay in shuttles returning to their hotels to pick up more passengers. We ended up waiting in the lobby of our hotel about 45 minutes past our scheduled pick-up time. Most of the passengers appeared to be middle-aged. I saw no children or teenagers. I would venture to say I probably saw no one in their 20's. The women out-numbered the men; however, not by as much as on other theme cruises we've done such as the Tom Joyner Fantastic Voyage Cruise or the One Love Gospel Cruise. Most of the passengers we met had done this cruise in previous years. They tend to return every other year. Around 6 PM each evening, the ship became a gigantic music festival. The concerts took place at different venues such as the 425-seat Aft Lounge, the 1,400-seat Victoriana Main Show Lounge, and the outdoor Pool Deck. There were normally CD and autograph signings immediately following a performance. Most nights included a midnight jam session in which musicians who were performing on the ship would come together to improvise on a variety of tunes. This was quite a treat especially for someone like me who has played music for most of my life. When the artists were not performing, it was not unusual for us to see them relaxing on the ship like the rest of us passengers. We had 3 sea days (days when the ship does not stop at a port) on this cruise. We kept ourselves occupied with the many activities Capital Jazz offered. There were games such as “Name That Tune”, workshops such as Gerald Veasley’s Bass Boot Camp master class, artist interviews, a comedian workshop, an off-Broadway musical, and much more. There were also ship amenities such as the pool, casino, the spa, and fitness center. Football Party: Wear the football jersey of your favorite team. Greek Mixer: Wear your fraternity or sorority paraphernalia. Red Haute & Cool: Wear something red. 80's Def Jam: Wear clothing/hair styles representative of the 1980's.